At Winter CHA this year Teresa Collins and We R Memory Keepers released a project created in partnership--new Albums Made Easy journaling card sets. This partnership is perfect, and produced some beautiful exciting new designs. Here are a couple of layouts I created using some of Teresa's new sets. Most of my Albums Made Easy layouts are monthly reviews, but every now and then I like to do something different--like this "day in the life" page. I love that Teresa's sets include some acetate cards that you can use as photo overlays. I used a 3x4 card over my 6x4 photo, placing it to the side of my daughter's smiling face. I used a fun technique to create the DIY journaling card below. First I trimmed a 6x4 piece of white textured cardstock and rounded the corners with my 1/8 and 3/8 inch Corner Chomper. 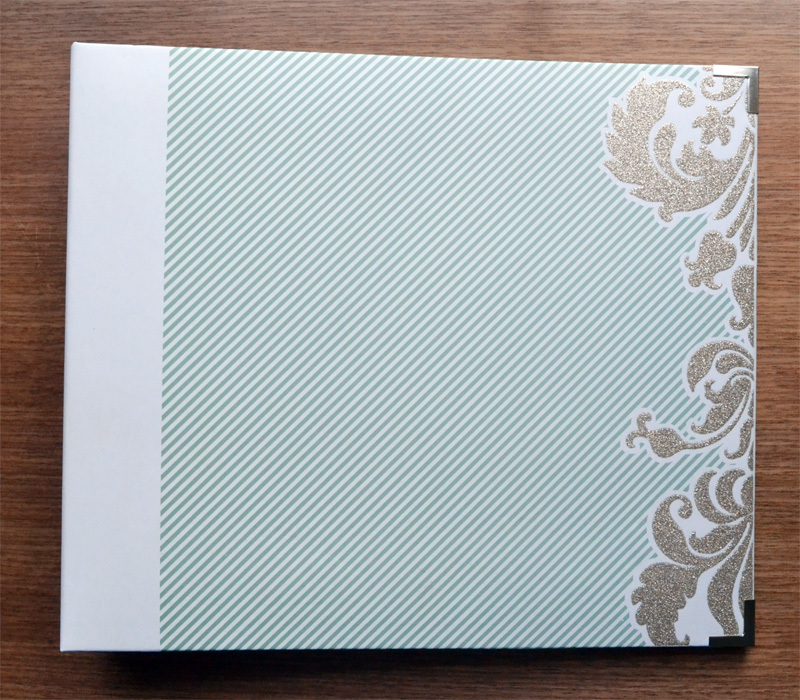 Then I embossed it with the new Stripe 6x6 embossing folder and my Evolution. Next I gently rubbed my watermark ink pad over the embossed design, and used a soft bristle paint brush to apply some gold metallic pigment powder. The powder clings to the watermark ink, and the excess wipes away using a paper towel. The Albums Made Easy journaling card sets designed by Teresa Collins are perfect for just about any event or occasion you might be documenting. But did you know she also designed four gorgeous coordinating 12x12 albums? 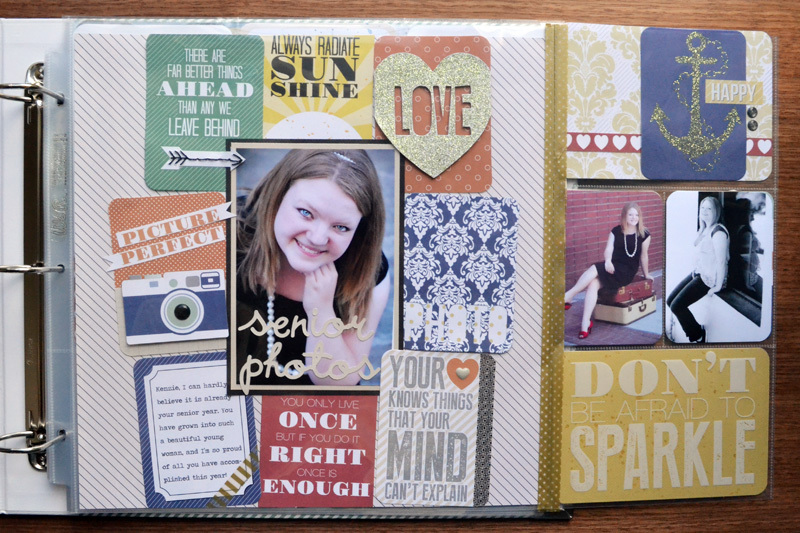 The Hello Life album and Quoted journaling cards were perfect for creating this senior year scrapbook. To learn how I created the DIY page flap, and to see more photos of this album CLICK HERE to visit the We R blog.